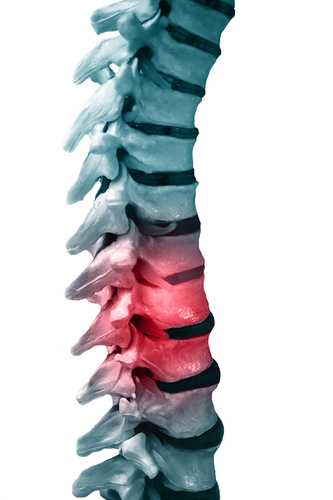 How much are cervical herniated disc cases worth? Metro Verdicts Monthly’s graph in this month’s issue is median settlements and verdicts in cervical (neck) herniated disc cases in Maryland, Washington, D.C, and Virginia. The median cervical herniated disc case in Maryland is $40,000. The Washington D.C. and Virginia medians are $50,000 and $36,000, respectively. I always qualify this data with a “for what it is worth” caveat. In the case of cervical herniated disc injuries, it is a “for what it is worth” squared. If a person says they are an actor, there are a lot of different degrees of being an actor. She may be Meryl Streep or her signature role may be “Crazed Killer #12” in a 5-second cameo appearance in a B movie. Herniated disc injuries are the same thing. Some people are walking around with cervical herniated discs that they cannot feel. For others, their lives are virtually destroyed by the injury. The other problem is I do not think plaintiffs attorneys properly value disc injuries and, consistent with my post on Monday, lawyers settle these cases too quickly. Insurance companies are just too quick to shoot these claims down. But they change their tune when they know they are in for a fight. This is particularly true with neck injuries (usually between C4-C6) as opposed to back injuries because some herniated disc injuries are relatively benign. But the fact that there are some smaller herniations should not alter the value of the cases as long as the symptoms clearly match the location of the injury. What If My Injury Was Preexisting? If I had a preexisting injury, how does it impact my claim? Good question. Our law firm has successfully handled scores of herniated disc injury cases, earning our clients millions of dollars on these claims. We know the science of these cases and how to present them to an insurance company and a jury. Call 800-553-8082 or get a free online consultation. There are two types of preexisting disc injuries: (1) those where the patient had real symptoms and treatment, and (2) those where the patient did not have any problems until the accident. The first scenario can be a challenge. If you were having problems before the accident, we need to be able to get testimony from your treating doctor that “thin slices” out the problems before the accident and the problems after. If the treating orthopedic doctor or neurosurgeon cannot do that, then that is a real problem. But if you have a disc injury and you didn’t even know you had it before the accident, this is a lot easier situation. Many people have latent injuries that would have never become a problem if not for the trauma of the collision. Insurance companies fight these types of claims hard but we are almost always going to win these case. 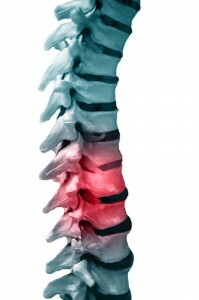 Our lawyers handle serious herniated disc cases throughout the United States. Call 800-553-8082 to discuss your herniated disc injury claim or click here for a free no obligation online consultation. What is the value of head injury cases? I’m fortunate in that I don’t get many headaches, a blessing I attribute to good hydration and genetic good fortune. On the rare occasion that I do get them, they are debilitating. It is hard to enjoy much of anything in life when you have anything north of a mild headache. Juries struggle with figuring out how to value personal injury cases when the primary injury is a head injury that caused — and may be continuing to cause — headaches. Saying you suffered a head injury in an accident is sort of like saying your nephew is an actor. He might be Will Smith, but he also might be an understudy in a local dinner theater production. Our law firm has successfully handled scores of foot and ankle serious injury accident cases. If you want someone to fight for you, lawyers that knows these cases, call 800-553-8082 or get a free Internet consultation. I think I have a pretty good handle on the settlement value of ankle fracture cases. 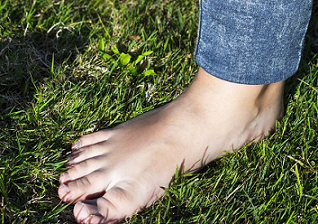 We have handled a lot of foot and ankle injury cases over the years. My first foot and ankle case was 17 years ago when I sued the New England Patriots and their team doctors that ultimately settled. Over the course of that lawsuit, I probably met with a half dozen of the best foot and ankle surgeons in the country. Since then, Miller & Zois has handled scores of foot and ankle injury case and procured millions of dollars for our clients in these cases. My last ankle injury verdict was in Prince George’s County was the 6th biggest verdict that year, according to Washingtonian Magazine. We know the science of these cases and how to maximize the settlement and trial value of these claims. It is amazing how low these are. These are from a few years ago but I think the number has not changed in 2018. Sure, some ankle fractures can be treated with conservative care if the fracture displacement is two millimeters or less or if there is no talar shift. But it is difficult to imagine getting less than six figures in the vast majority of these cases. I don’t know how much insurance policy limits came into play in these cases. But, either way, these numbers are just way too low. One of the problems, I think, is not distinguishing between a good result and a good outcome for the patient. A good result for an orthopedic surgeon is a good looking x-ray. The fracture is healed, mobility is good and the ankle joint is where it’s supposed to be. But you can have a good x-ray and still have a permanent injury, particularly when there is hardware is keeping the ankle together. Two more points of interest in this data. First, don’t get an ankle fracture in Virginia. It is amazing to me how low these Virginia verdicts are. I have to think this data is screwed up in some way. Second, it is interesting that Maryland ankle fracture verdicts are 33% higher than Washington, D.C. verdicts, given that the Maryland median was much less than Washington, D.C. for both fractured shoulder and rotator cuff verdicts. The Federal Tort Claims Act News (who knew there was such a publication?) wrote an article about how Jury Verdict Research Case Evaluation Software was predicting the values of verdicts in a particular slip and fall case with an ankle fracture. In this case, the jury predicted a probable verdict of $117,600 with only a 33% chance of success on liability (maybe a tough slip and fall case on liability). I just struggle to see how a case with a good fracture could be valued so low. One more point: median settlement values is the midpoint of the data, not the average. So included in the math are a lot of awful cases that probably never should have been filed in the first place. So why not just quote the average? Well, the high range of these ankle verdicts is $5,250,804. That also distorts the statistics. The take-home message: settlement and verdict statistics are invariably misleading. These are 15 factors that drive the trial and settlement value of your ankle fracture case. All of these factors lead to the question of how is the ankle injury permanent and, if so, how severe is the permanency. This will give you another way to look at value: sample verdicts and settlements. But please remember that no two cases are alike and you cannot figure out the value of your case just by comparing your case with a similar case. No two cases are the same and someone’s verdict is just a poor predictor of what the outcome in your case will be. Certainly, along with other tools, it can shed light on value. No question. But you just cannot put too much into it. 2014, Maryland: $96,789 Verdict – The plaintiff was driving on a two-lane road when another car hit him head-on. He suffered a comminuted ankle fracture as a result of the crash. The plaintiff had to have two screws permanently implanted in his leg, and developed a permanent limp as a result of his injuries. The jury awarded him $96,789. This is one of those cases I’m talking about, right? A permanent limp is only worth $96,000? 2013, Maryland: $260,506 Verdict – When the plaintiff was inside of a Taco Bell restaurant, a fight ensued, and the plaintiff was struck in the face by an employee. He fell backward as a result of the fight which caused his ankle to become fractured. He had to receive two surgeries to fix his ankle and developed an infection. Additionally, he claimed that he had limited mobility in his ankle. The defendants contended that he provoked the fight. The jury awarded him $260,506. 2014, Pennsylvania: $847,362 Verdict – As the plaintiff was exiting her apartment when she slipped and fell on icy steps. She sued the property owner, claiming that they negligently maintained the steps by failing to remove snow and freezing rain. Plaintiff alleged that the defendants failed to inspect the property over the previous night, which led to the hazardous condition. She suffered an ankle fracture, which required implementation of screws in her ankle, leading to arthritis. She also alleged that her ability to stand was compromised. 2014, Pennsylvania: $225,000 Settlement – The plaintiff was crossing a street when she stepped in an uneven asphalt patch. This caused her ankle to roll, leading to a fracture. She sued the city, alleging that they failed to maintain a dangerous condition. She had to receive surgery, where two screws were implanted in her ankle. The plaintiff had to undergo physical therapy and claimed that she suffers pain and swelling during prolonged periods of standing. The defense claimed that the alleged injuries were fully healed. Still, the parties reached a pretrial settlement. 2014, Virginia: $2,000,000 Verdict – The plaintiff was a 59-year-old shipyard worker who slipped and fell on a patch of black ice while taking his car in for service. He sued the dealership, alleging that they failed to maintain a lesser-used sidewalk and that they knew that it commonly ices over. He suffered an ankle fracture and claimed that the injury aggravated a pre-existing back injury. He had to receive surgery to repair his ankle and additional surgery to alleviate back pain. The defendants claimed that he had previously inquired about the back surgery prior to the fall. The jury awarded him $2,000,000. 2010, North Carolina: $10,397,291 Verdict – The plaintiff was interested in purchasing a new boat. While on a demonstration with a boat salesman, the boat hit choppy waters causing the plaintiff to be thrown up and down in the boat. He fractured both ankles, one of which required surgery. The plaintiff claimed that the defendant was operating the boat at unsafe speeds given the choppiness of the water. He sued the boat operator and the marina and received a $10,397,291 judgment. This case underscores impact on the amount of the verdict a good lost wage claim can make. This man was a urologist and most of the damage award accounted for his past and future earnings. 2010, North Carolina: $80,000 Settlement – The plaintiff was operating her vehicle when she was struck by another motorist trying to enter the street from a cross street. She suffered an ankle fracture as a result of the accident. The parties eventually settled for $80,000. We have no more information on the severity of the claim. If you have an ankle fracture case in Maryland or Washington, D.C., call me at 800-553-8082 or fill out this claim form online. We can help you. If you are outside of the Baltimore-D.C. area and you have a serious ankle fracture, call me or find my bio and email me. I can (probably) help you find the right lawyer to maximize the value of your ankle fracture claim. What Are Wrist Injuries Worth? Metro Verdicts Monthly provides the median verdict and settlement value of wrist fracture cases over the last 22 years. The average settlement/verdict in Washington D.C. is $105,000. Maryland is less than half that: $50,000. 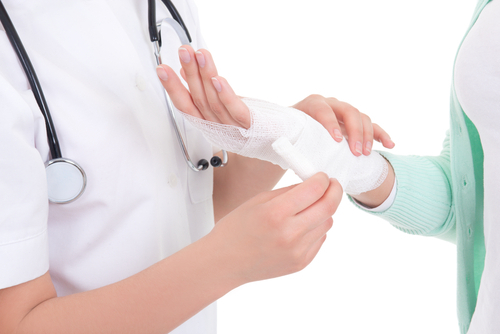 The average settlement/verdict in a wrist fracture case in Virginia is $52,583. Maryland jury verdicts in series personal injury cases are generally higher in the District of Columbia. Again, I don’t know the methodology of how MVM gets its numbers. If they rely on personal injury lawyers reporting that data – which I do not think they do – then that could possibly skew the data as could a lot of other things that only a statistician could find. Particularly since Metro Verdicts includes settlements in their statistics, it is hard not to suspect that data could be skewed. Jury Verdict Research found that the median jury verdict in arm nerve damage cases over the last 10 years was $81,095. 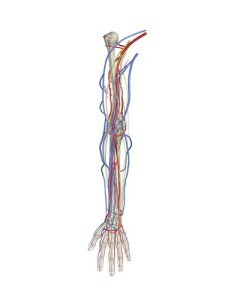 Arm nerve damage is defined by the study as injuries to the median nerve, radial nerve, ulnar nerve, musculocutaneous nerve, and axillary nerve which are all branches of the brachial plexus. Carpal tunnel injuries were, however, specifically excluded from this study. Why? The vast majority of carpal tunnel injury cases are not the result of medical malpractice or a motor vehicle accident. Before you get outraged, it is absolutely true that people get CPS all of the time from tensing up and gripping the steering wheel before a crash. It is just that most of these injuries are not caused by car accidents. Metro Verdicts Monthly has a graph that reflects the median verdicts and settlements when the injury victim loses vision in one eye in Washington, D.C., Maryland, and Virginia. 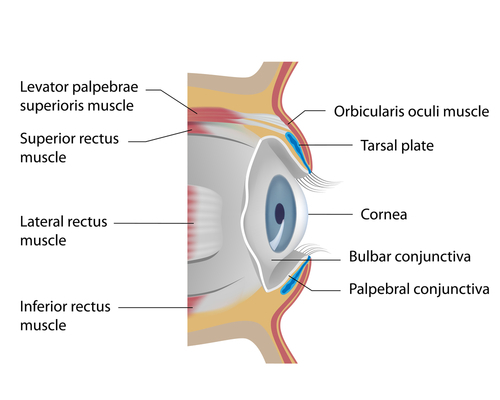 The median for the loss of vision in one eye in Maryland is $231,000. You could drive a truck through the gap between Washington, D.C. and Virginia’s median settlements in verdicts with loss of vision in one eye cases: Washington, D.C.’s median is $162,500; Virginia’s is $320,000. If you read graphs regularly, you would expect Washington, D.C. and Virginia to be reversed because Virginia as a whole typically has more conservative verdicts. These numbers are a bit misleading. 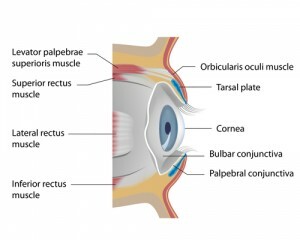 I think because most loss of vision cases are products liability cases. Many products liability cases have questionable liability which decreases the average and median recoveries. If liability is not an issue, the values of these cases are much higher. A recent Jury Verdict Research analysis of jury verdicts found that the overall median award for the amputation of one toe is $119,008. The median award for foot nerve damage or tarsal tunnel syndrome accident cases was $143,265. Underscoring the difficulties of the healing process in the complex structures that are our feet, the median award for foot injuries generally is $98,583. The median for foot injuries generally makes sense to me. I’m stunned that the average verdict for an amputated toe is as low as it is. You have to remember that unless this is a lawnmower case, it is likely that the plaintiff suffered other injuries as well. In any event, I certainly value my 10 toes more than American juries. This blog post is about the settlement value of personal injury cases in Maryland and the chances that a plaintiff will prevail at trial? How Often Do Victims Win Personal Injury Lawsuits? After my blog entry about New Hampshire verdicts, I received a few emails from Maryland lawyers asking if I knew the data for Maryland plaintiffs. 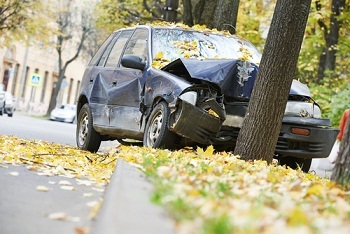 In Maryland, the accident victim is successful at trial in 83% of auto accident personal injury cases.